Most dog bite injury victims often tend to be children who are smaller and less able to defend themselves against an attack. 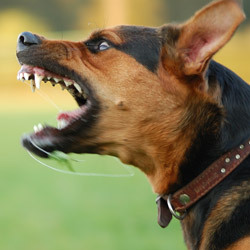 If you or your child is attacked by a vicious dog, then you need an experienced dog bite lawyer that is familiar with dog bite injury laws in your state. To schedule a free consultation and initial case review with a dog bite lawyer at Glen Lerner Injury Attorneys today. Our personal injury attorneys and also, support staff are here to help! First: Seek immediate medical attention after a dog attack. Dog bites can result in serious infections, lacerations, scars and penetrating wounds that may require multiple stitches or surgery. An aggressive mauling or attack by more than one dog can even result in a wrongful death. Second: Call the police and report the incident. Do not attempt to confront the owner of the dog. Owners of vicious animals will often become defensive and try to lay blame on the victim. They may even become aggressive themselves. Negotiate with an insurance company for the best possible settlement to cover injuries and also, loses. Glen Lerner Injury Attorneys’ dog bite lawyers will fight for the best possible outcome so that you don’t pay for long-term medical bills. So, contact our dog bite lawyers today. You won’t pay, unless you win.